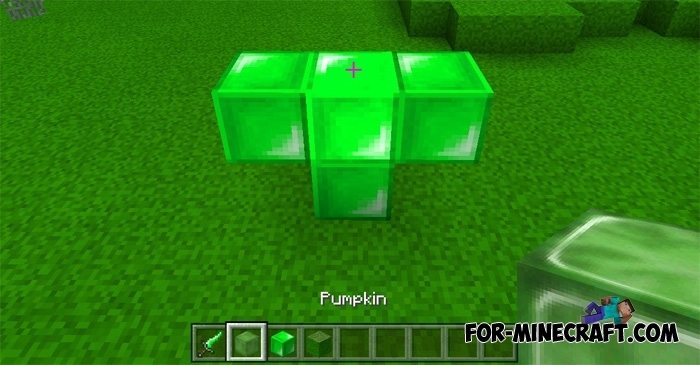 Thanks to a new feature, each player can now create your own unique mod for Minecraft PE. It's pretty simple, and players began en masse to do this. The Slime Boss mod adds a new boss who is a worthy opponent. Also, you will get new items and tools that are perfectly combined with new creatures. The new boss is quite strong and can kill you by shooting several times. One hit in you takes away almost 8 hearts. Small slimes could spawn near the boss (they are not so dangerous). 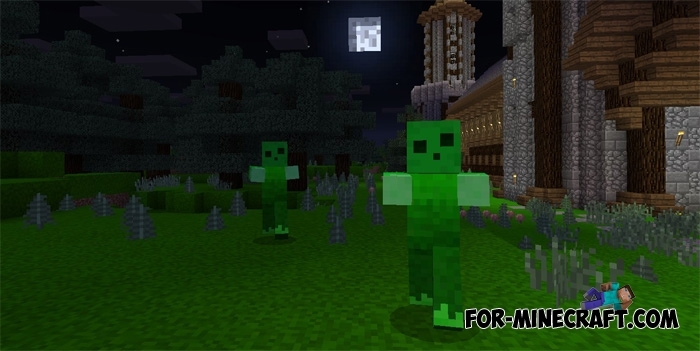 The creater has changed the texture of some mobs, they are now green. Also, you will find new ores, weapons and armor (characteristics have remained the same). Everything else has not undergone a change. If you like to fight with the strong bosses then look at the Wither Storm addon.